7 Stylish Suits For Every Guy!! A suit worn well can make or break your look, be it an interview, a date or a special occasion. 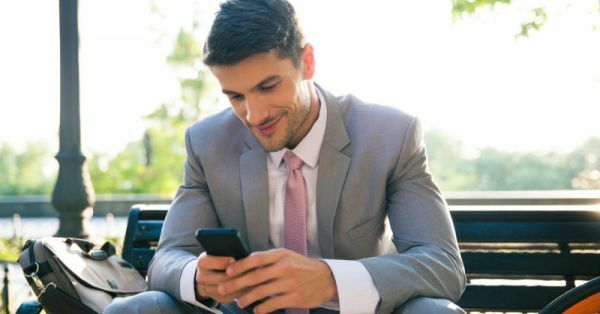 Nothing makes a great first impression like a well-fitted suit without unsightly seams and shoulders that fall off (this happens when your blazer is too big for you!). And hence, we got the lovely experts at Amazon Fashion to give us some priceless tips on wearing your suit right for any kind of occasion. So, what are you waiting for? Suit up! Nothing screams hipster like a bowtie. Pair this quirky bowtie with a matching suit in navy blue and brown Oxfords for a semi-formal look. Make sure the suit is well-fitted to avoid looking shabby. 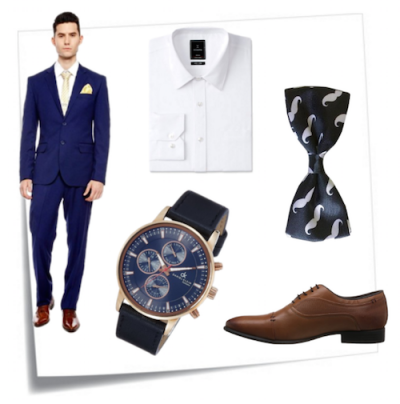 A white shirt should offset the bowtie and a blue watch simply goes with all of it. This look is perfect for a want to save on time? Pick a pre-stitched bowtie that requires no tying! A bandhgala works perfectly for weddings and the functions associated with it. A maroon shirt adds a lovely contrast. Pair this suit with a chronograph watch and black shoes for an elegant look that can transition from mehendi to shaadi in an instant. 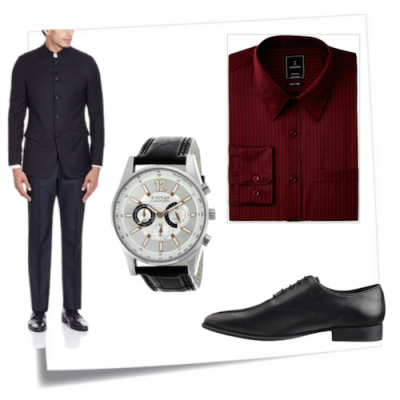 Watch out for the structure of your bandgala blazer, ill-fitted sleeves can break this look. 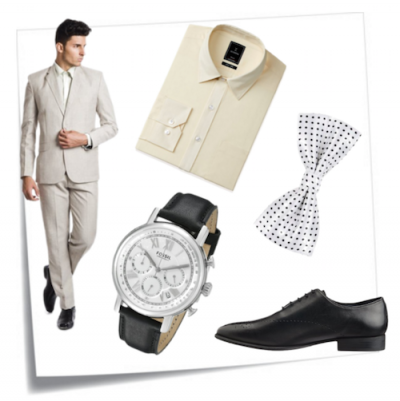 A beige suit can work as both formal and semi-formal wear depending on what you pair it with. 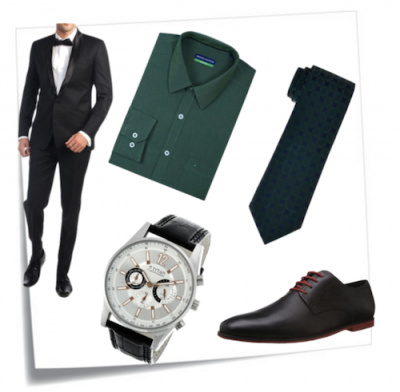 A matching shirt, a black-strap watch and a contrasting print bowtie work well with this suit. If you’re going for a more casual look, add a printed shirt to the look and you’re good to go! If you’re a tall person, wear your pants right below your belly button to avoid it hanging off your behind. You can never go wrong with the classic black suit. It is the perfect look to carry off at work and impress the boss. This olive green shirt with a matching tie offset the suit beautifully while a black chronograph watch and black shoes compliment it. Wear a slim fit shirt for a neat look. Causal date on the cards? 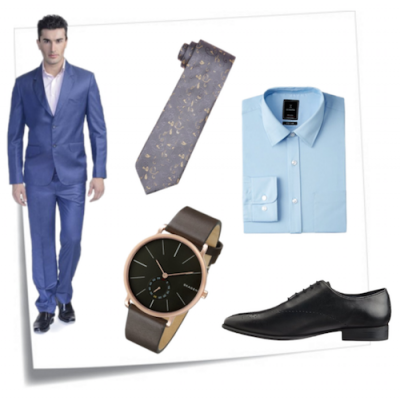 A bright blue suit with a lighter blue shirt, black shoes and black dial watch speak confidence while giving out a very casual vibe at the same time (you don’t want your date thinking all your cards are on the table *wink*). 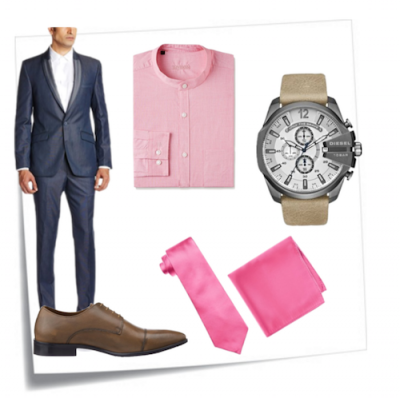 Add a grey tie if you’re expected to join work post the date, it adds a formal look. This look is as formal as can get. 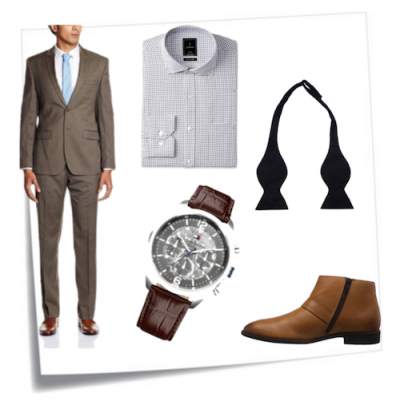 Pair this smart suit with a chronograph leather-strap watch, tan boots, a bowtie and a checked shirt for a look that oozes chutzpah! Take the lead in this look since people will find it very hard to say no to you when you’re looking THIS good!